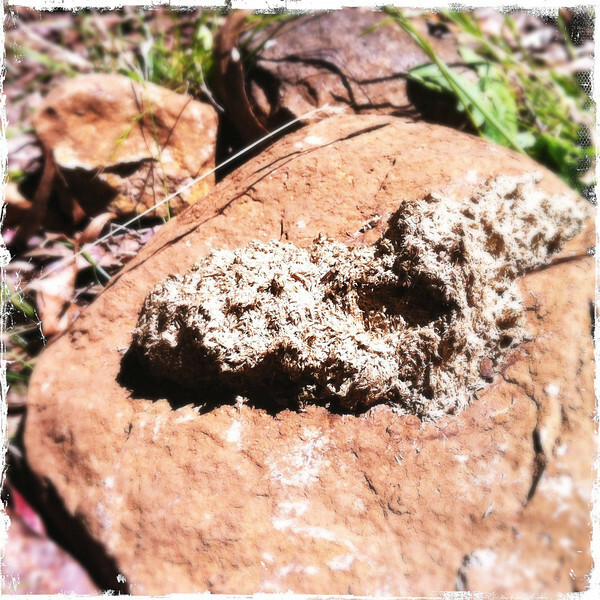 Water affected wombat poo on stone. Babbington Hill, Wombat State Forest near Fryerstown, Victoria. Dec 28 2011.